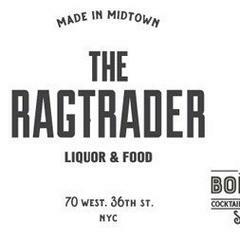 The Rag Trader and Bo Peep Cocktail & Highball Store is in search NYC's most personable servers to be part of Midtown's hottest restaurant and cocktail piano lounge. This three story venue offers three very unique atmospheres of dining. Interested candidates must exemplify the true spirit of hospitality and showmanship. <br>The perfect server will have an extensive knowledge of wine, spirits, mixology and fine foods. You are not afraid to show your personality but are still able to adhere to company policy and NYCDOHMH code. We offer busy lunch, after work, dinner and late night shifts. Be prepared to move as we are high volume and fast paced while still maintaining the integrity of the brand and cocktails. Fine dining mentality is preferred. Fine dining experience is NOT necessary. The Rag Trader is posting their hospitality jobs on Harri. See what we’re all about.